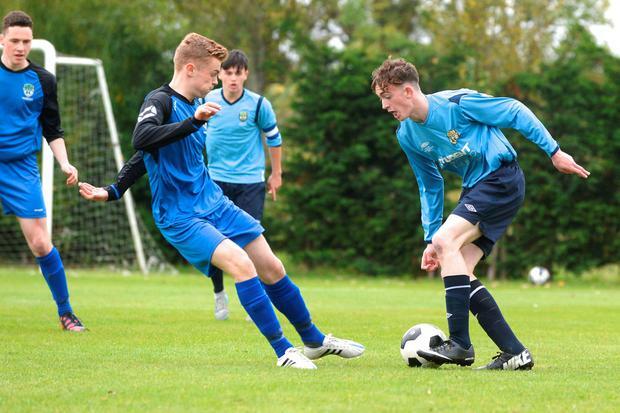 Ryan Byrne for Leinster during the Under 18 Interprovincial tournament final at the AUL Complex Clonshaugh. 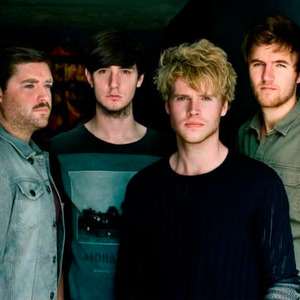 Pic: Justin Farrelly. Leinster Back L-r Ryan Byrne, Thomas Rowan, Gavin Howard, Andrew Brennan, Jamie Ahern, Cathal Gillen, Conor Kearns, Ciaran Kelly, Owen McCormack, Liam Scales Front L-r John Martin, Stephen Hanley, Kevin Coffey, Tony Archibold, Conor Kane and Dylan Grimes during the Under 18 Interprovincial tournament final at the AUL Complex Clonshaugh. 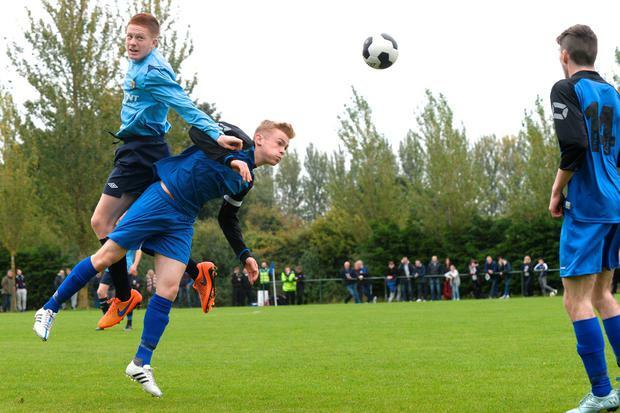 THEY did it the hard way, but Leinster secured a seventh FAI Schools Under-18 Boys Interprovincial title in nine years. For manager John McShane – brother of Ireland international defender Paul McShane – it is six tournament wins in eight years on the coaching staff. However, the Dublin Oak Academy teacher insists the legacy of the work carried out in the first two months of the school calendar every year goes beyond silverware. Last year’s successful Leinster side provided 10 members of the Ireland Under-18 squad that claimed the Centenary Shield. Ireland manager Paddy O’Reilly and his coaching staff were in attendance for every minute of the weekend’s action at the AUL Complex in Dublin. The tournament is, of course, primarily a trial platform for the international team’s campaign against England, Wales, Scotland and Northern Ireland after Christmas. Following last season’s success, O’Reilly insisted the League of Ireland is benefiting from a new generation of youngsters that gain valuable experience in the Centenary Shield. After watching striker Jamie Aherne’s late brace – clinching a hat-trick for the Confey College man on the day – seal a 5-0 win over Connacht that edged out Munster on goal difference for the title, McShane echoed O’Reilly’s words. “The biggest benefactors of what we do with these boys in the Leinster panel is definitely the League of Ireland,” he said. “The League of Ireland is full of players that have played for this side, in this tournament, over the years. “Ryan Swan played two years ago and just scored three goals in Europe for UCD, while Dylan Watts went from being here last year to also playing in Europe with UCD. “even take the only player in this year’s squad from last year, Liam Scales, who didn’t come through the usual track of playing at the very top of schoolboy football. The Interpros and Centenary Shield has an undisputed record of producing late bloomers, with Seamus Coleman (Everton), Stephen Ward (Wolves) and Adam Rooney (Aberdeen) all going through the process with their provinces before eventually lining out for Ireland’s senior side. However, goals and victory were the main motivation of the Leinster players on Sunday as they targeted title glory. Despite Kevin Coffey and Ryan Byrne ensuring a 2-0 opening-day win over Ulster on Friday, Munster stunned the holders with a 3-0 win 24 hours later. Combined with their own win over Ulster in Sunday morning’s first game, Munster left Leinster requring a four-goal win. Aherne set the ball rolling with a smart finish 10 minutes in, before Gavin Howard scored from the penalty spot and Conor Kane made it 3-0 at the break with a long-range effort. Despite the first-half flurry, Leinster were frustrated in the second half, until Aherne fired home with five minutes to go, before heading in number five from a corner moments later. LEINSTER (U18 squad): Conor Kearns (St Mac Dara’s CS), Owen McCormack (CBS Kilkenny), Conor Kane (Colaiste Phadraig CBS), Thomas Rowan (Gaelcholaiste na Mara), Liam Scales (Gaelcholaiste na Mara), Gavin Howard (Clonkeen College), Kevin Coffey (St Colmcille’s CS), Dylan Grimes (Marino College), Ryan Byrne (Colaiste Lorcain), Jamie Aherne (Confey College), Stephen Hanley (Clonkeen College), John Martin (Presentation DLS), Andrew Brennan (St Benildus College), Tony Archbold (Salesian College), Ciaran Kelly (Colaiste Phadraig), Cathal Gillen (Clonkeen College).